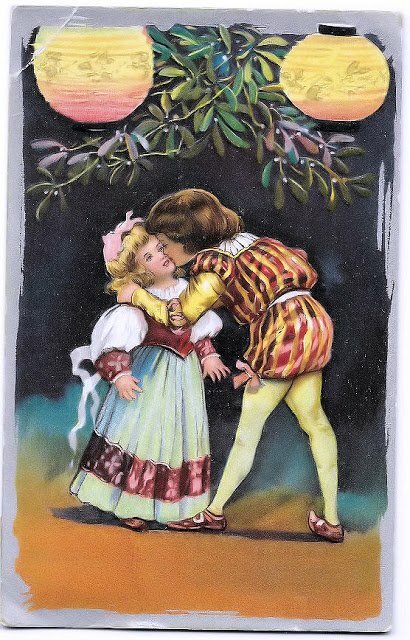 A kiss for St. Valentine’s? Scan of an antique postcard, postmarked 1912. They certainly don't make them like this anymore. This is such a cute postcard! That is very nice. I am impressed with all the detail. We could put a little more effort in today's valentines! Happy Valentine's! I love this vintage idea. People try to reproduce it, but it's just not the same.